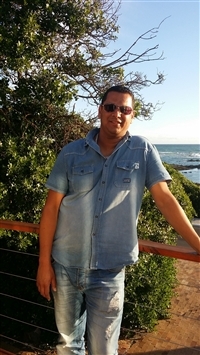 Cheslin Zas has won Free Accommodation 1 time! "So excited. First time that I win something. And definitely not the last time with Sleeping out. Thank you Sleeping out for your excellent service provided with my booking at Franskraal. I will recommend Sleeping out , winning or not. And our stay at Melkboom self catering unit was also perfect and I will recommend it to any one." Melkboom and Rots en See are two self-catering holiday homes situated on the shoreline of Franskraal in the picturesque fishing village of Gansbaai, 190 km south east of Cape Town. These spacious fully furnished houses can each sleep 12 people comfortably. 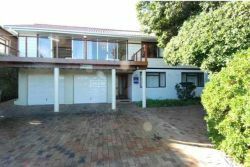 The back garden of Melkboom is totally covered by huge milkwood trees while the open plan lounge and dining rooms leads to a huge outdoor patio with an amazing view over the sea. Rots en See has a huge indoor braai area. Add to that a fully equipped kitchen with all major appliances, DSTV, automatic washing machine and double garage and all is set for an unforgettable holiday. Welcome in our home. Franskraal, a modest seaside village bordering the White Shark mecca of South Africa, Gansbaai is home to several artists and skilled craftsmen and women who hone their skills in this unassuming town with its endless pristine sand beach and prime fishing spots. From Kleinbaai, a small natural harbour on Dangerpoint Peninsula, boats leave every morning to take travellers out to show them the Great White Sharks.